WHY THE ZZYSH® CHAMPAGNE CARTRIDGES? 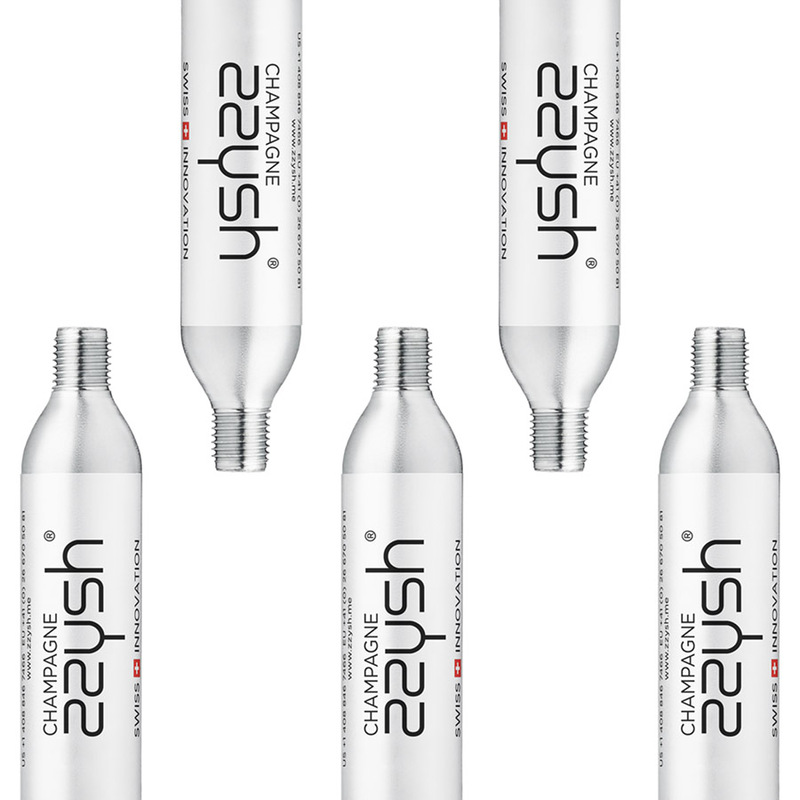 Refill cartridges only to be used in combination with the zzysh® Champagne Preserver. Contains 100% food-grade argon/CO2 gas. 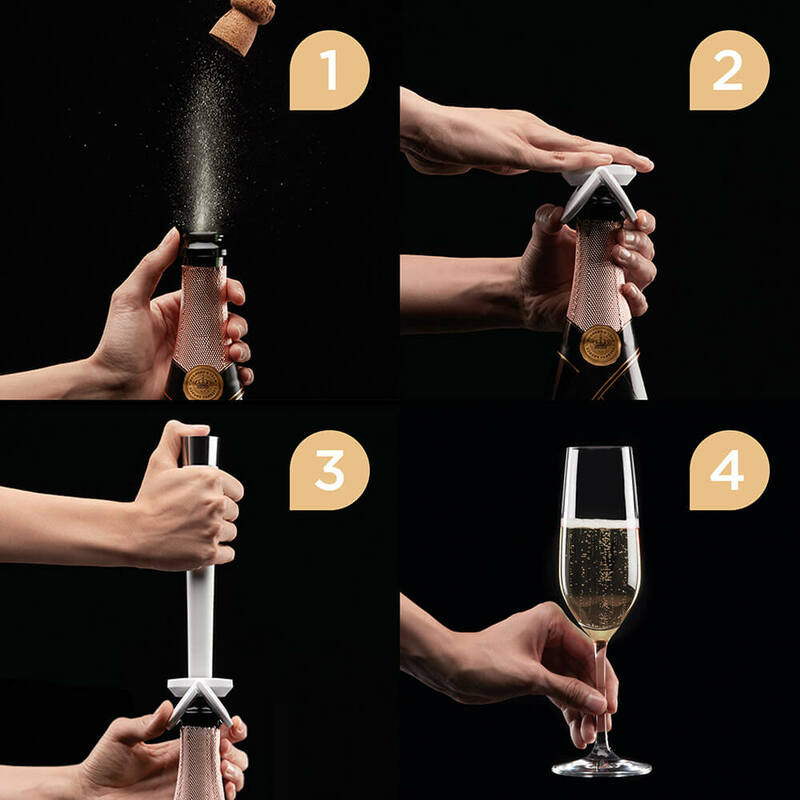 Keeps your Champagne’s natural flavor and fizz for weeks. 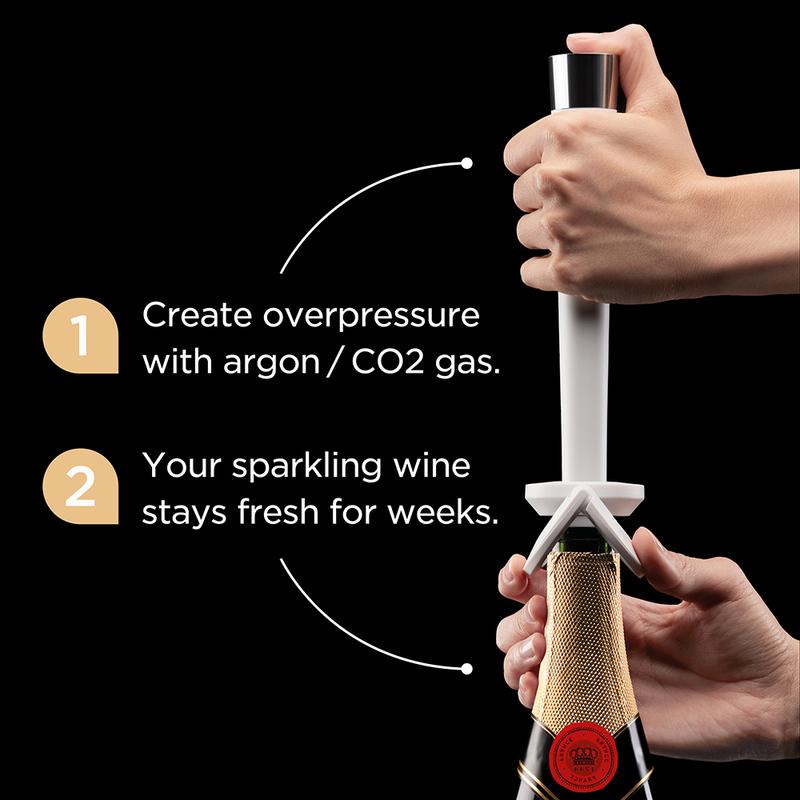 The opened bottle is pressurized by a mixture of Argon/CO2. Each cartridge is good for up to four applications. 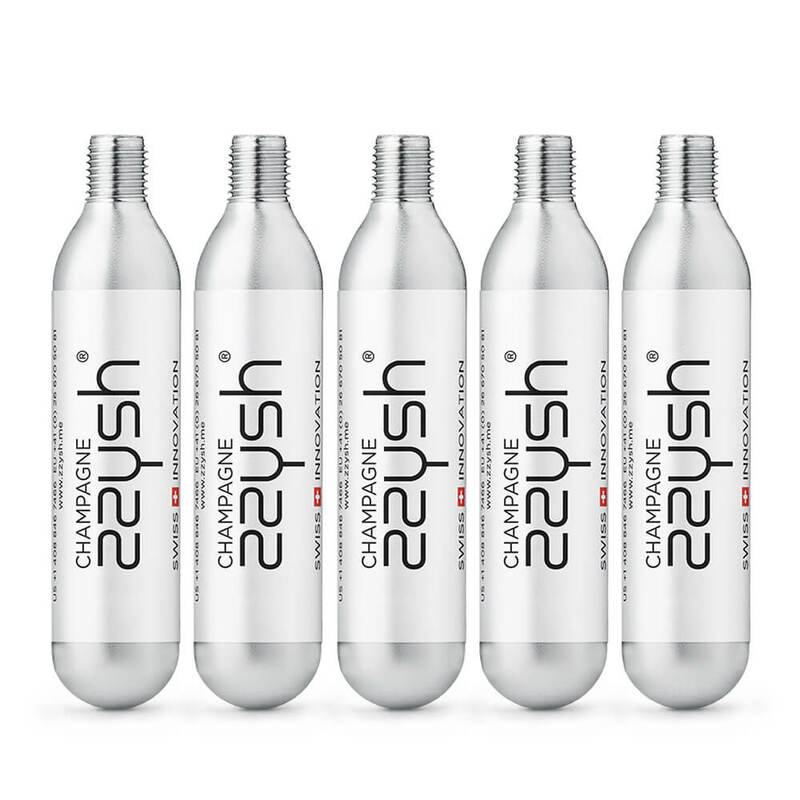 zzysh® CHAMPAGNE CARTRIDGES – ARGON/CO2 GAS FOR SPARKLING WINE PRESERVATION. 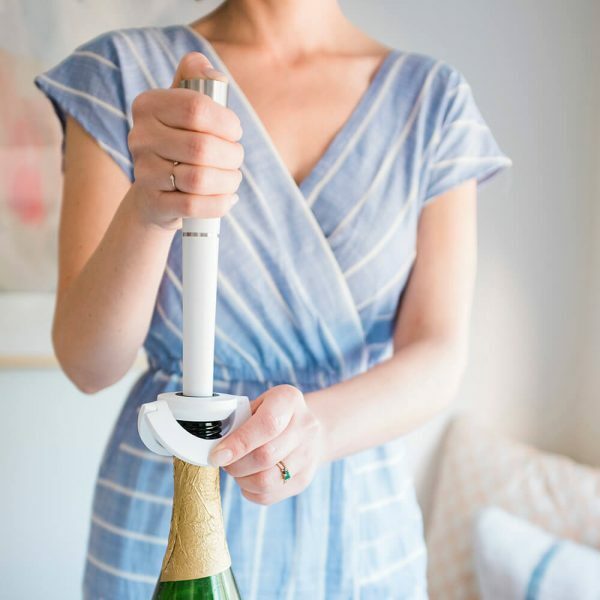 The key to perfectly preserving a bottle of sparkling wine. 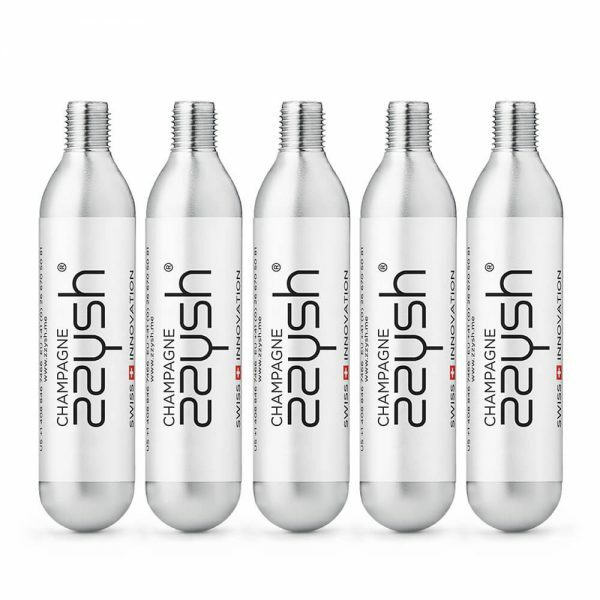 The zzysh® Champagne Cartridges were designed specifically and only for the zzysh® Champagne Preserver. Each cartridge is good for up to four applications, and contains 100% food-grade argon/CO2 gas, which pressurizes and protects the bottle. Highly recommended by wine experts around the world, this Swiss innovation keeps your sparkling wine’s flavor and fizz for weeks after opening. It works with most types of sparkling wines, Champagnes and Proseccos, allowing Champagne lovers and experts to enjoy as much as they’d like without having to finish the entire bottle. 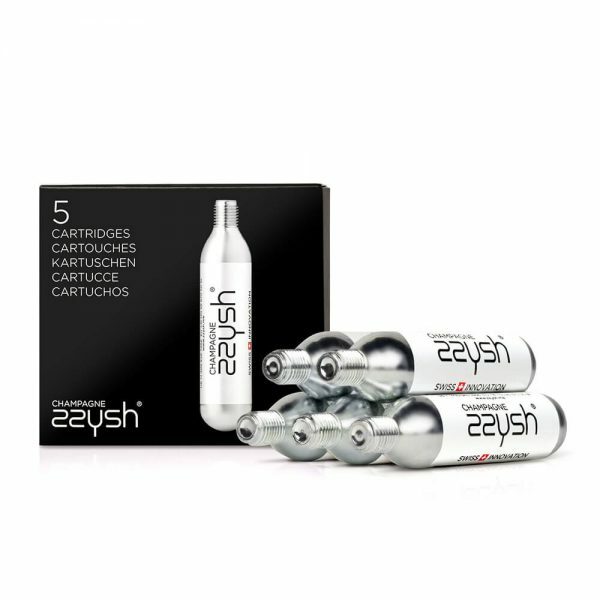 Note: The zzysh® Champagne Cartridges work effectively only in combination with the zzysh® Champagne Preserver.